Meticulously maintained 3 Bedroom, 2 Bath Villa with tumbled paver motorcourt in Tuscany Villas at Painted Mountain, which is adjacent to Painted Mountain Golf Resort. Kitchen has upgraded raised panel cabinets, granite slab tops and nearly new black appliances. 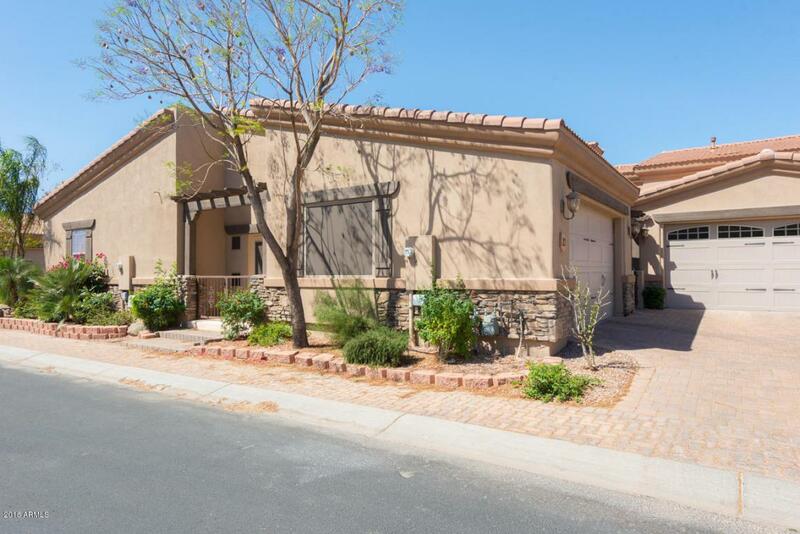 Super clean in every way and includes multiple tier tray vault in great room, high ceilings, new window coverings, new water softener, garage cabinets, separate luxury tub and double head shower in master bath, Santa Fe wall texture and a beautifully landscaped backyard. The Toscana Club offers pool, spa, sport court and workout facility. Adjoining public golf resort offers great golf, dining and entertainment. Listing courtesy of Ventana Fine Properties.